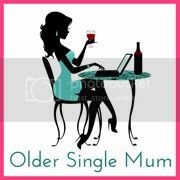 Older Single Mum: Stepping Up. The kids and me, stepping out in Cervione, Corsica. It's been a quiet summer here - mostly jigsaws, train tracks, Monopoly and movies. Although it's good to enjoy being with the boys while they're still young enough to love this kind of thing, the main reason we had to stay closer to home than usual (aside from the naffest August on record) was that, just before we broke up, I ended up in A&E again with a nasty relapse of my post-concussion problems. It came on completely unexpectedly and was so worrying that I feared going up to the hospital genuinely might mean never coming out! Forgive me for sounding dramatic, but, normally, if I got too tired or dehydrated or stressed or all three, there would be a throbbing at the point of impact on the side of my head where the badminton racquet struck me over two years ago, it would buzz a great deal - like it was emitting lots of little electric currents and I would know I'd have to sit or lie down pretty swiftly and let myself kind of blank out, but this time, it was different. It came out of nowhere. Well, I say nowhere, it was sparked by the kids doing what kids do - playing up in a way that is perfectly natural for two energetic children, in a way that anyone should ordinarily be able to cope with. We were going to the cinema on a Sunday. They were a bit too relaxed as the time approached to leave and an ordeal to get out of the house started. If the tickets hadn't been booked and paid for, we wouldn't have made it, but they had been, so we were all forced to step up. And this seems to be the problem - too much stepping up on my part. The Consultant said it was a build up of pressure that had caused the 'popping' sensation which had moved my newly severe headache from its usual specific location to all over my crown. It had subsided a bit before I eventually took myself off to get properly investigated a few days later, but my eyes had deteriorated considerably further than they have already since the original accident and trying to learn something new brought about physical pain in my brain. He conducted lots of tests - usually those they carry out in case of a stroke - reflexes, strength of limbs, light and sound etc. and they, fortunately, all produced results that didn't concern him. He decided, therefore, that the exposure to radiation for another scan wasn't necessary and an assurance to us both was / is that staying still really does help, whereas should there be anything as serious as a bleed or growth, this wouldn't be the case. But how often do any of us just sit around? Six weeks of summer holidays were looming at that point and my pressures weren't going anywhere! Admittedly, they had been higher than normal - jetting off at short notice on a press trip to Corsica, for example, had brought about military organizing for all four of the children in my care, because, frankly, hosting a couple of young Foreign Language students involves the same amount of attention as my own two. They needed to be looked after in our absence - beds changed, laundry done and food prepared in advance, to, as much as possible, help out my friends who were kindly staying. It wouldn't do to just scarper and leave them at home without an adult, when have been entrusted to me and I wouldn't appreciate it if I had a teenager who was supposedly being looked after by a host mother in anther country and she suddenly disappeared for a week - work-wise or not! One of them had been on Ramadan, fasting during the day for the previous few weeks, then eating and re-hydrating (and going to the loo) on and off all night, torturing me with interminable sleep disturbances and we'd only just got back from (another massive juggling excercise of) a week-end away, were in the throes of end of term madness via two different schools and just as the youngest had got over a bug, the eldest needed carting to a big sports event the other side of town, all of which came at once. But it never occurred to me not to step up to any of it. And although it was wonderful to be away, I am still a lone parent with two children and just looking at the other bloggers' impressive array of scary looking cameras made me feel too worn out for words. It also hit home rather hard how the financial pressures of being a single mum can be heaviest of all. So, feeling uncharacterstically crushed and unbelievably humourless, I took things in hand and the six week break turned out to be a gift - literally what the doctor ordered! For its whole duration, I put into practise as best as I could the 'be the change you want to see' and started stepping back instead of up. I've managed to secure a 'proper' job for the first time since the boys were born and have, at last, been able to get them attending the same school - things which will make life easier daily and help my head feel less like an unregulated pressure cooker. It still aches sometimes. There are consequent early nights to contend with and it remains important not to become too tired, stressed or dehydrated or I will still have to let myself blank out as the lovely Michelle Pannell can attest to after it happened even in her tranquil surroundings! My drinking days might be done as well - although *sacrilege shock* it appears there seems to be a place for watered down wine in this world. Who knew?! And things have improved so much that we were even able to get away for the last week off to visit family and friends along the coast and in Jersey again (something I'll be sharing soon). It feels good to be back on track and I'm looking forward to catching up with what you've all been up to. Thank you ever so much to those of you who've left very kind messages during this time. The sympathy and mickey taking are equally appreciated! I am so thrilled that both boys are in the same school now. Is it making a huge difference to the mornings and pick up? Also must be good for everything else too: parents evenings, after school clubs and just general logistics, parking and traffic. Your technique of stepping back sounds like it really worked - I get the impression the boys cooperated in that too which is just lovely. Sometimes they love to chill as much as we do. At the beginning of the school Summer holidays I had a lot of PJ days and Aaron was just fine with it. This Summer we watched a lot of movies and despite a few days out, things moved at a slower pace. Lovely to hear you've struck a balance with where your limits are, but very sad that the head injury made this necessary. As a healer you know though that injuries often occur to make us make changes, so I hope once the energy shifts, the head and the head clouds will lift and clear. You're doing so well, you and your gorgeous boys, whether there be 2 or 4 of them ha ha. Even if I haven't been in touch, you have been on my mind a lot. I'm sorry I was unaware of all this going on in your life, I pretty much stepped back from the online world too over the summer and am only just picking up threads now. I am so sorry to read this. What a frightening and frustrating condition. Gosh concussions are nasty things, you think you are much better and it sneaks back into your life. Do take care of yourself dear. I hope the new regime helps to ease your headaches. Wow you and me both - I too was rushed off to hospital with a suspected stroke/heart attack at the end of June and had to have an incredibly quiet summer. 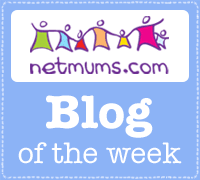 I'm beginning to feel on the mend now, so keep your eye on my blog, as some of the things I'm using might help you too.